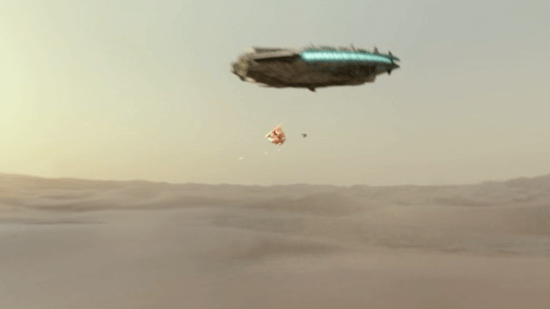 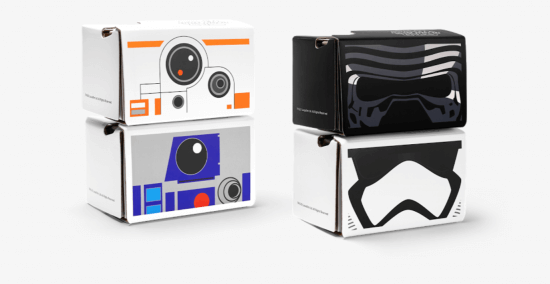 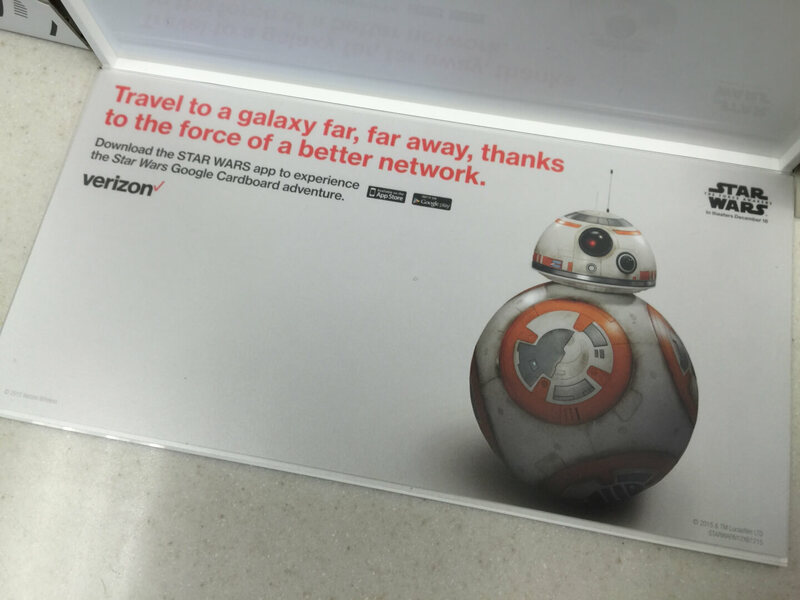 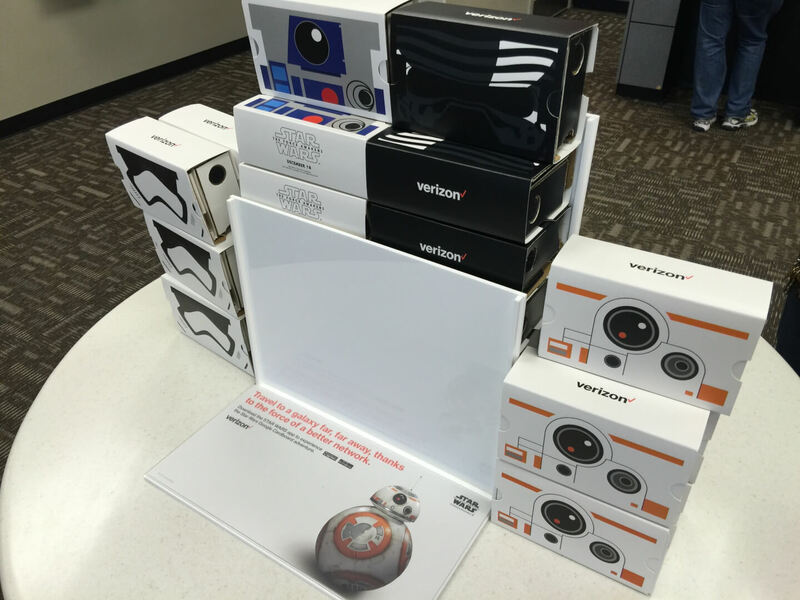 Google Cardboard, Verizon's immersive Star Wars 3D VR experience offers tantalizing glimpses of "The Force Awakens"
With a relatively simple Google Cardboard device and your smartphone, Star Wars fans can step into the shoes of a spy working for the Resistance on the distant planet of Jakku. It isn’t just a cool movie tie-in, the completely immersive experience allows the viewer to feel like they’re not just watching the action unfold in front of them but rather completely surrounding them. 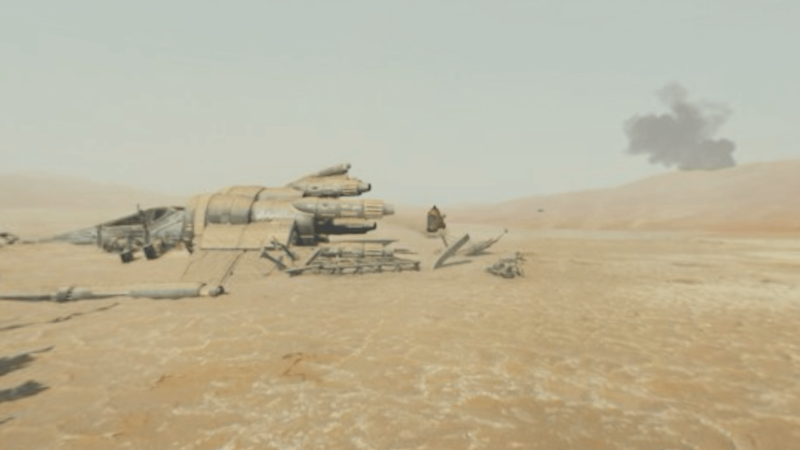 The new clips are located within the official Star Wars mobile app under “Jakku Spy” and each one is unlocked after a specific amount of time, which leads up to the day before the new movie is released in U.S. theaters on December 18. 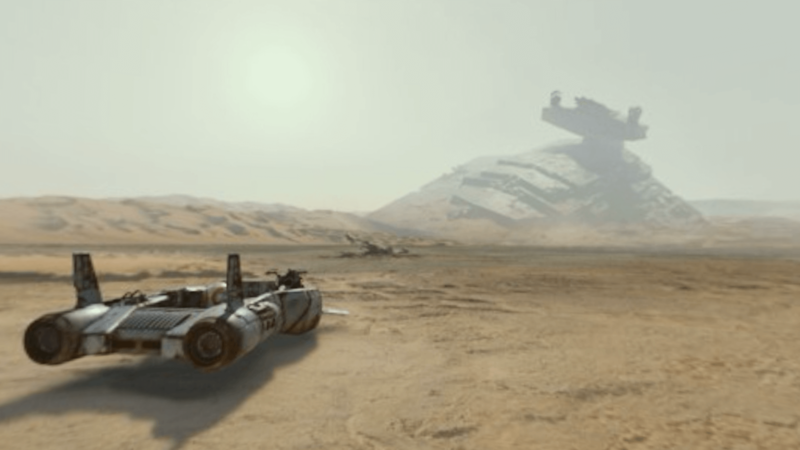 With your trusty sidekick BB-8 by your side and relaying mysterious transmissions to you at the end of each clip, viewers can look around and take in the sights of Jakku, the interior of the Millennium Falcon (right next to the Dejarik game board), and possibly more locations. Secrets abound and the action unfolds suddenly and from different angles; from the location of a familiar-looking First Order TIE Fighter that has crash landed on Jakku to the Millennium Falcon engaged in combat right above you. But because you’re in virtual reality, you can also choose to ignore that and simply look around and take in the surroundings. 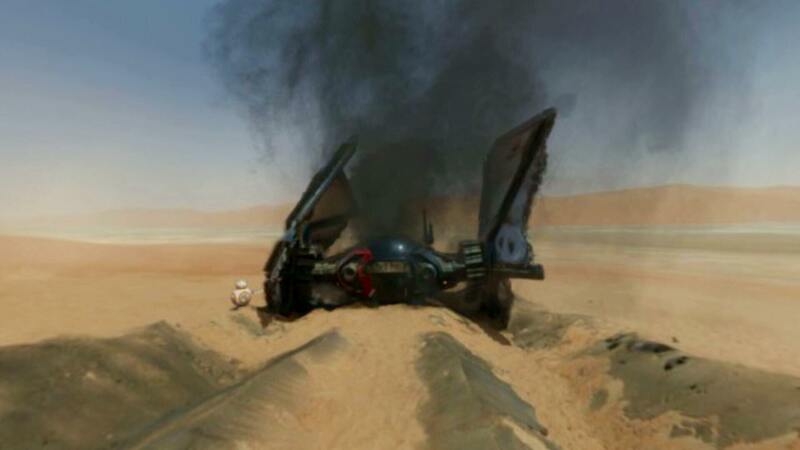 There’s a cool wreckage of an X-wing behind you while BB-8 displays a message but there’s also black smoke emerging from a distant location on top of a sand dune. 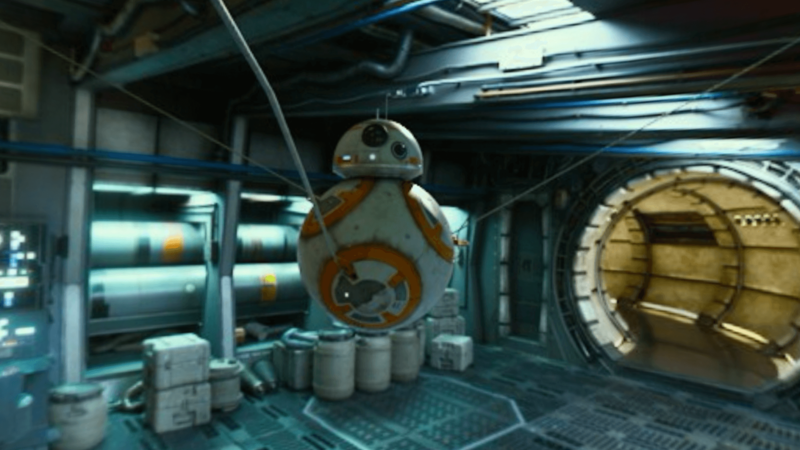 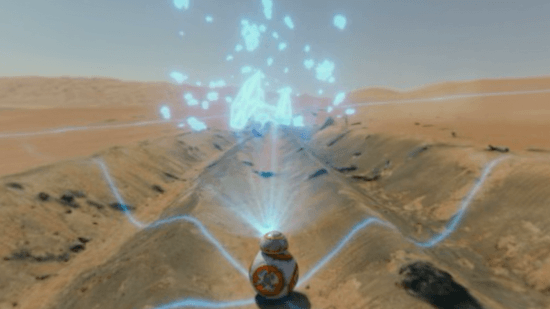 BB-8 also shows off some new tricks, including shooting out three attach cables to lift himself off the ground, and the droid is also able to download information from the destroyed TIE Fighter to project a holographic reconstruction of how it crash landed. 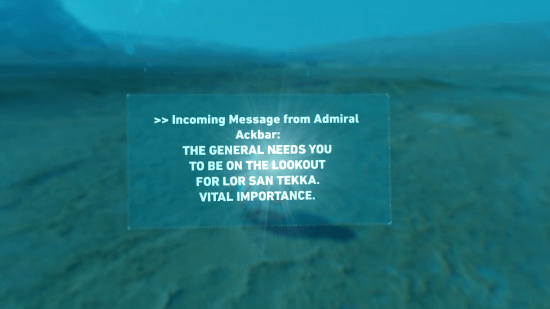 It’s more than just a 3D experience, and though you can’t walk around, it truly feels like you’re looking through the eyes of this unknown spy and the new as-yet-unreleased clips (there are nine total) promise even more intrigue.